I am grateful I had the opportunity to contribute to LAFLA’s mission. 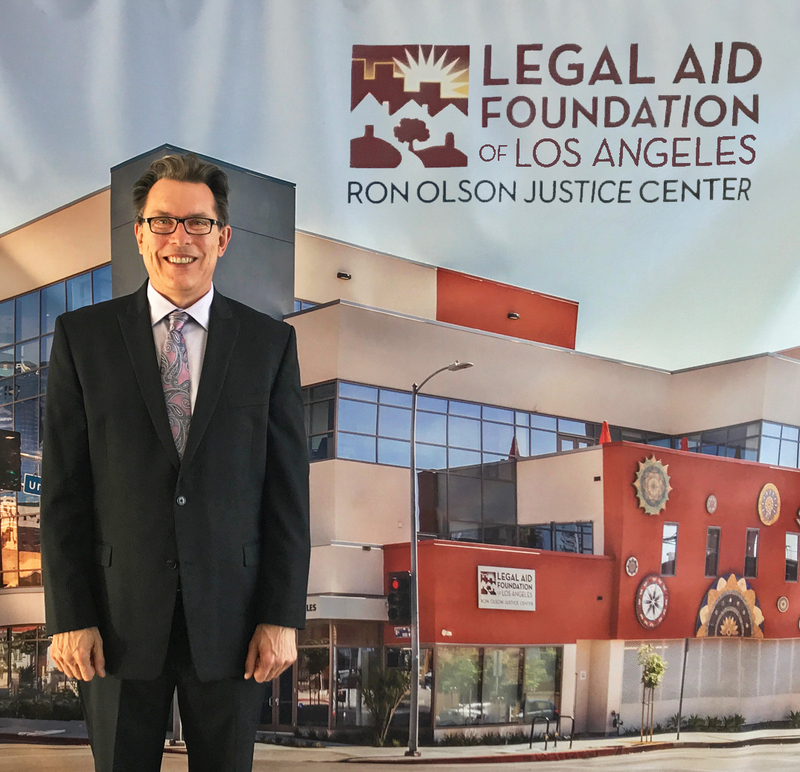 I have been very fortunate in my life, so in addition to my other volunteer work, I provide my writing programs to public interest legal organizations pro bono. My program addressed two related topics to help the attendees make their writing more accessible and compelling: 1) writing short, clear sentences; and 2) employing advanced persuasive writing and editing techniques. Advocacy begins with concise, clear sentences and paragraphs. You cannot persuade a court if the court does not understand you. Short, clear sentences are easier to understand, so they are more likely to persuade. In some of my previous posts I explained the benefits of writing short sentences and several techniques for writing them. I analyze additional means of writing short, clear sentences in this post. You—to your everlasting shame and regret—bury the action of a sentence in a noun. Verbs convey action. Embrace and respect active verbs; do not demean them in nominalizations. If you use nominalizations, you will often prop them up with weak verbs. Instead, take the active verb from the nominalization and state it directly. Bad: The defendant’s statement caused reliance by the plaintiff. Good: The plaintiff relied on the defendant’s statement. Bad: The professor’s instruction resulted in his students’ demoralization. The professor demoralized his students during class. I have not yet posted about avoiding noun clusters. Noun clusters are a long chain of nouns that serve primarily as adjectives. Noun clusters strain readers: they will gloss over noun clusters or get confused by which nouns serve as modifiers and which nouns serve as nouns. Some examples from a California agency’s website illustrate the perils of noun clusters. That is six straight nouns! Congress partially caused this problem because it used a noun cluster — Alternative Trade Adjustment Assistance — when it passed the Trade Adjustment Assistance Reform Act of 2002. This agency was confronted with a noun cluster; rather than breaking up the noun cluster, it added to it! Benefit Overpayment Credit Card Payments. Do not put more than three nouns together. Instead, break up noun clusters by inserting words between the nouns or rewriting your sentences to eliminate them. You can also alleviate this problem by hyphenating compound adjectives. “Alternative Trade Adjustment Assistance Individual Application” becomes “Individual Application for Alterative Trade Adjustment Assistance.” A four-word noun cluster remains, but because that noun cluster is a defined legal term it cannot be broken down further. This noun cluster—like all noun clusters—is cumbersome and confusing. Which nouns serve as nouns and which nouns serve as adjectives? Is it the property taxes that are secured by property, or is it the property being taxed that is secured? After some research that I should not have had to conduct, I learned that the term “secured property taxes” means that the underlying property is secured, not the tax payments. Taxpayers, using their Personal Identification Number (PIN), can find the past three years of tax payments for their home. Taxpayers, using their Personal Identification Number (PIN), can access the past three years of their payment history for their secured-property taxes. After we examined all these techniques for writing short, clear sentences, the fun really started. I assigned an exercise that asked the attendees to edit ten sentences that suffered from one or more writing flaws to give them an additional opportunity to apply and internalize my lessons. We had a rich discussion during which attendees discussed their own edits. I also offered an annotated “answer key” that identified the errors in each sentence and proposed sample revisions. As usually happens in these fun sessions with smart people, our discussion amplified my understanding of ways to attack these writing flaws. Using parallel construction to aid reader comprehension and add rhythm to sentences. I applied many of these techniques in my annotated brief, but I will discuss these techniques in even more detail in a future post. I help make attorneys better writers. My legal writing programs teach concrete strategies and techniques pertinent to all aspects of written advocacy. My programs include excellent teaching materials, writing samples, and handouts that attendees can rely on in their future work. And my teaching methods ensure that attendees will not only value and enjoy my programs, but will apply and retain what they have learned. I also offer individual writing instruction to attorneys who wish to improve their written advocacy, including attorneys whose employers wish to provide extra writing support. As part of my instruction, I critique attorneys’ actual memoranda to provide self-editing tools that allow them to approach their future work more effectively. Join the attorneys whose writing has been enhanced by my instruction. Contact me to get started!